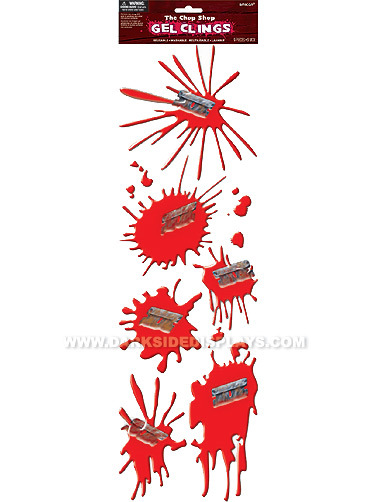 Bloody razor blades and splatters of blood look great on notebooks, and windows and will show everyone your dark side. Reusable, will stick to most smooth surfaces, however these should not be used on furniture. Various sizes, clings measure 4-6.5"H x 3-6"W. 6 ct.